Every object you encounter in your daily routine is branded, a brand does not have to literally exist on the shelf of the supermarket, be strapped to your left hand, speeding down the street or receiving taps from your index finger; it could be a service or a even a corporation as well. In this section of our website we will only exhibit just a few of the tens of branding exercises we executed. Mind that we have designed, developed & implemented over 85 concluded brands that are being used by thousands of people on a daily basis. Check out section 'V' of our logo design portfolio is dedicated to brand logo design. Started as a simple body-shop by Mrs. Delorine and expanded to acquire small unknown brands and to re-brand and distribute products. Our task is not fully completed yet and due to the numerous items we split the project into two phases. The 1st Phase is to follow some of the original brands themes (keeping themes and colors) and gradually at a later stage, i.e. in the 2nd Phase to create a unique design and color theme for all the brands; so they all look and feel to belong to the same family of products. (Updates to be published later)	. 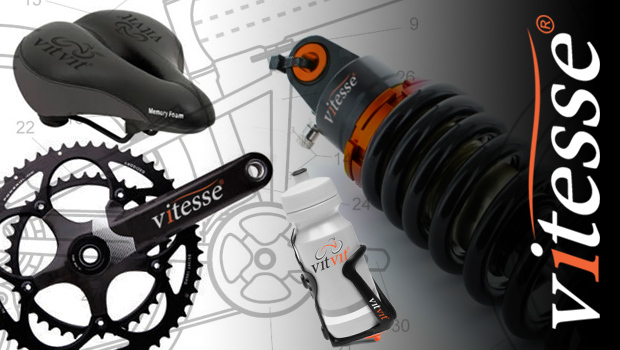 Vitesse® & VitVit® are two new brands for a long established bicycle parts manufacturer in East Europe. As they recently joined the EU and entered the French, Belgian & Spanish markets a necessity for an easy to recognize and remember brand has risen. We suggested to create two brands, the first is for the spare parts and the second for accessories (and later to be for built bikes). We assisted the factory in more than branding, we created a packaging system and a serial number algorithm; from the first several digits you can identify either the material, department, use or type. We were so proud with this task that brought us head to head with the detailed manufacturing processes. Aquadermi®, and as per client's description, the ingredients are extracted from several kilometers below sea level where torturing micro-organisms are beneficial for the skin. 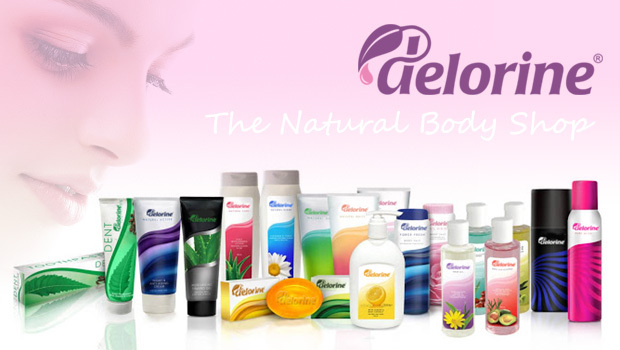 We branded around 15 products from creams, soothing gels, body sprays and skin cleansing liquids. The process included sales force training manuals, educational presentations, and reference guides. In addition to shop branding, mall isles, shop stands,printed marketing materials, social media campaign and TV infomercials. 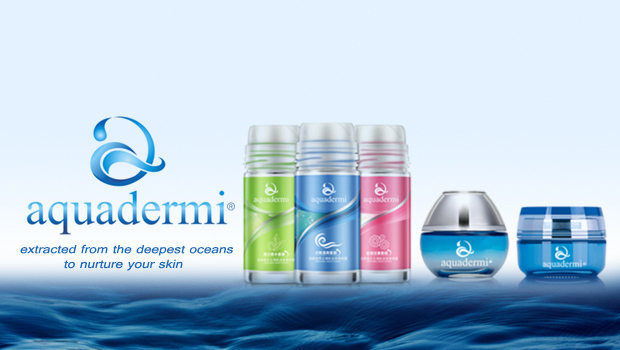 Aquadermi® today are expanding to include "healthy cosmetics" to their product range. 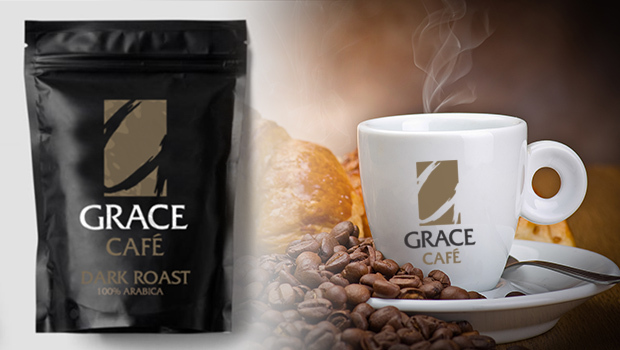 Grace Cafe is not just a coffee brand or a cafe in some location. The owner's vision of franchising the brand world wide was and still humongous. The brand logo was much favored for being very simple yet very deep (A "G" & a Coffee Bean at the same time, yet not very indicative to restrict business to coffee only). As Grace Cafe are specialized in supplying & brewing fine coffee, they are into Coffee Shops and restaurants supplies and installation as well. 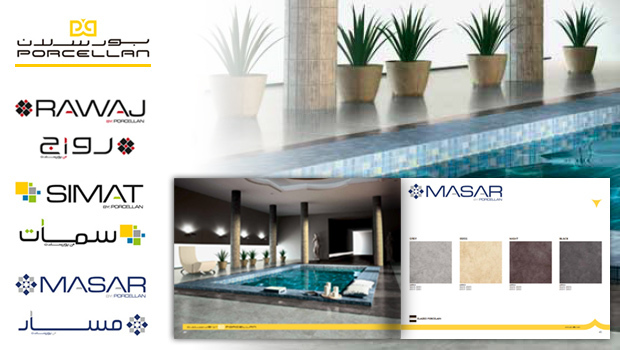 'Porcellan' is a ceramic and porcelain tiles factory in Abu Dhabi ,and one of the largest plants of 'Al-Ghurair group of companies'. We were approached with 3 major tasks, the first was to redesign the factory's logo, the second to create 3 major brands and the third to re-name (Name Induction Task) over 200 tiles with meaningful Arabic names, yet the names have to be easily pronounceable by foreigners. We ended up creating everything from a full CI for Porcellan, in addition to a company profile and several showcase booklets (Brochures). 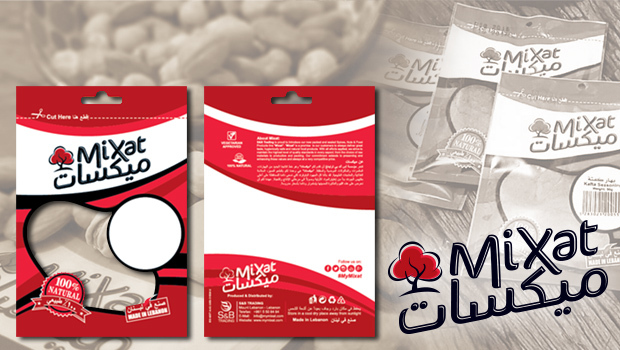 The name "Mixat" was suggested by "web and media" for the client which is a blend between "Mix" in English and "خلطات" in Arabic. Mixat is a small and average family business that packs average quality spices and nuts next to their gas station, and distributes them within their neighborhood. The client was more of price oriented rather than quality oriented which took a lot of effort from our side to create neat designs to be packed in cheap production bags. 'Gardens Food Supplies' approached us to create a unique brand package and package for 'M. Alalem' Spices. The proper name of 'Alalem' was to be the brand name but an Arabic theme and a personalized message was to be conveyed. 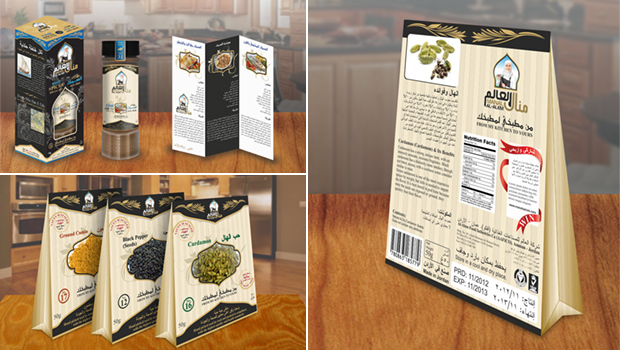 We came up with two slogans: "From my kitchen to your kitchen" and "Every blend has a tale from head to tail" to deliver two messages, as if a woman is recommending a personalized recipe to another, and to create a story for each type of spices. Our branding approach was both informative (educational) and functional; where 3 recipes were inserted with spice jars. 'Sirius International', a well known food import/export company, needed to satisfy several tightly priced markets in the Gulf and Middle East, and was well established with 3 major suppliers in Turkey, Ukraine & Algeria. 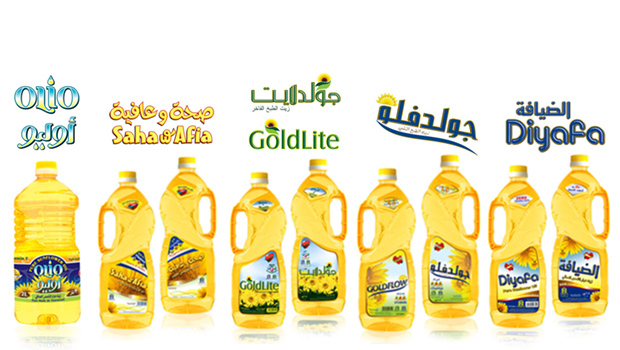 We created 4 brands: Olio, Goldflow, Goldlite and Diyafa, later 'Sirius' introduced a new brand name for a higher price, "Saha w Afia" which means "in good health". In this exercise, we created brand logos, labels, stands, shelf stickers, truck branding graphics, posters, exhibition stands, leaflets, roll-ups, sales brochures, and 3 exhibition stands (for 3 Seasons). As we do not follow trends and we will never do, we plan for the future in every design we create, each sketch is an innovation of its own, created to last for centuries to come. It is a question of identity not another fashion drift. On the other hand, our struggle in fighting plagiarism will grow even stronger.